Sigh, its too bad fur coats are no longer in fashion. I'm up to my eyeballs in warm fuzzes. 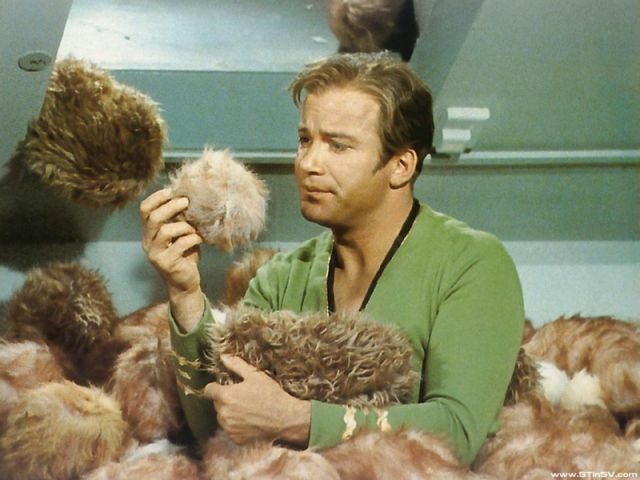 Being a starship captain has its trials and tribble-lations. How many times have I told Scotty to dust the engines. I think my toupée collection has gotten a little out of hand.